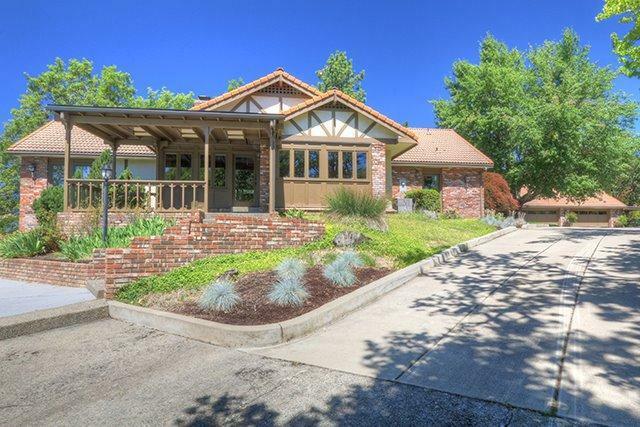 Fabulous One of a Kind Estate with Tremendous views of the Rogue valley and beyond. Custom built beauty sits on 120 +/- acres and features a large single level custom home. Featuring floor to ceiling windows in most rooms, private courtyards, lush landscaping, in ground pool, lots of custom built ins throughout and soaring vaulted ceilings. There is a 4 car garage, lots of paved parking and a covered RV or boat carport. Tile floors in the kitchen and a fireplace in the formal dining and separate fireplace in the oversized living room. Long paved driveway takes you thru the woods'' up to a wonderful level area on top of your own mountain. Directions: North on Beacon to Ridge Rd.